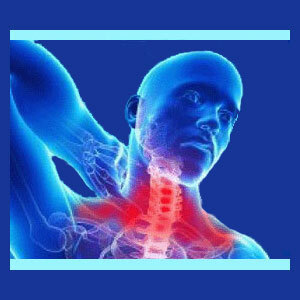 Neck pain from cellular oxygen deprivation describes symptoms which originate due to the process known as ischemia. All cells require oxygen in order to function correctly, and when deprived of this vital substance, they can suffer a downward spiral of negative consequences that can be responsible for varied symptomatic expressions. Neck pain is just one of the many possible effects of an acute or chronic lack of oxygen at the cellular level. This discussion focuses on the causes of ischemia in the neck anatomy and the host of symptoms it can produce in unfortunate patients. Restricted blood flow to any bodily area can enact oxygen deprivation symptoms. This restriction can occur due to circulatory problems, blood vessel compression, vascular thoracic outlet syndrome or purposeful reduction in the diameter of vessels, enacted by the subconscious mind. Cellular processes may make it difficult or impossible for oxygen to be removed from the blood or utilized by the affected cells. This can occur due to poisoning, disease and other reasons. Ischemia can also occur when the overall blood oxygen concentration is reduced. This can occur from a lack of available airborne oxygen, the inability to transfer oxygen from the lungs to the blood, the inability of the blood to carry the oxygen or other reasons. Regardless of the cause of ischemia, symptoms can range from minor aches and pains to fearsome spasms and agony. Oxygen deprivation can affect virtually every type of living cell, with neurological tissues being affected almost immediately, muscular tissues showing more resistance and hardy tissues, such as ligaments and tendons, taking quite a bit of time to succumb to the pain. Virtually all manner of common physical, structural and anatomical ischemia syndromes can be successfully diagnosed using targeted testing. It is rare that an oxygen deprivation syndrome caused by a physical defect or disease process will go unnoticed. However, ischemia that is caused by the interactions of the mind and body are incredibly commonplace and are only rarely recognized for what they truly are. These psychogenic ischemia syndromes are created purposefully, in an attempt to enact physical reactions in the body, without causing any permanent injury. It is well documented that many mindbody health conditions, such as chronic pain, fibromyalgia and stomach problems, involve reduced oxygenation in the troubled parts of the anatomy. However, it is not well known why these mindbody alterations are sourced or why the mind would purposefully cause such pain to the body. Dr. John E. Sarno, and many other mindbody physicians, such as our own editorial board member, Dr. Roger Gietzen, have written extensively on the subject of oxygen deprivation and its terrible effects. In fact, according to the majority of doctors who embrace mindbody medicine, many acute and chronic health conditions are caused 100% by this virtually invisible and truly diabolical process. This explains why there remain no viable cures for there disorders, since they all mistakenly pre-suppose some incorrect anatomical flaw or structural causative process. The inspiration for this essay came from the original coverage of oxygen deprivation back pain as reported on Cure-Back-Pain.Org. If you want the full story on ischemic pain syndromes, this is the site you MUST read. Oxygen deprivation can be treated in many different ways, depending on the source of the ischemic occurrence. Physical and disease-oriented causes of oxygen deprivation must be handled by specialists in circulatory medicine. However, the majority of patients with chronic concerns are likely to be affected by the mindbody variety. For patients with psychogenic ischemia, there are no physical cures. There are no drugs, surgeries or exercises which can permanently resolve the problem. However, there are many medical, complementary and alternative therapies which can provide temporary relief. In order to truly end the pain forever, the patient must get to the bottom of why it is occurring. This typically involves a journey inward; contemplating the sensitive and often repressed psychological issues which reside within each one of us. It is a painful journey emotionally, to end the pain that occurs physically. This is certainly a fascinating topic and is far too large to be adequately covered in this single article. For more information, please search the terms “oxygen deprivation” and “ischemia” in the site search bar to access our full library of related topical articles for free. Alternately, you can read the full story in our acclaimed best-selling self help books in The Cure Back Pain Forever Program or contact us for information on our pain coaching practice.